As the Blog Series revealing My Lipstick Collection comes to an end, and I hope it's a happy ending with all your love and appreciation, as that's the encouragement for me to post more posts and blog series. This end doesn't mean an end to my love for lipsticks. I will be buying them, loving them (sucking them as I do so...lolz) and will be reviewing them for you all Lipstick Lovers out there. As a tribute to my Love for Lipsticks I wanted to conclude this series with a special post for My Lipsticks and My love for Lipsticks sharing all my encounters with Lipstick since childhood. Hope you all will like it. To Know more Read More!!! As a girl Cosmetics always appeased and attracted me, Lipstick were the ones which has always fascinated me, allured me and tempted me rather seduced me. I could never resist the temptation the colours of this Fairy Tale like magical wand. Well no makeup accessory was given to me till my matriculation, like most of the simple girls around me. 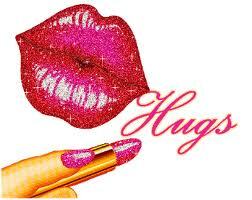 I always fancied my Mom'z Avon lipstick samples, she had dozens of those. Avon is a door to door selling company and my Mom had a friend who worked in Avon as sales representative, she gave samples to my Mom for selling and marketing reasons. I loved those tiny little beauties. well sometimes, but strictly only sometimes, I got a chance to apply those. Then my Mom blessed me with her motherly love when she bought me Avon's Lipstick and a chap-stick from there Blossom's collection for young girls.I still have those. That time I was in 7th Grade. I adored them used them, the lipstick in cherry shade was like a tinted lip balm and the packaging was also like a chap-stick with a red cap on it and a very beautiful fragrance. So this was my first Lipstick, officially. Then one by one I took the little Avon sample lippies from my mom and loved there shades, still have these little beauties. When my aunt got married I asked her to hand over her unwanted baby-pink shades to me, she was nice to give me few. Then I was in 10th Grade. Occasionally I was allowed to wear Lipstick but in baby-pink shades not Reds as my Mom scared me of looking like an aunty. On wedding ceremonies I tried to get hold of matching colours to my clothing, and it was over looked by my sweet Mom. When i started my college, I had a reasonable collection of sample Lipsticks and few Lip liners which were unwanted by my elders, esp the one's which were in the makeup kits (My Mom used to gift to my aunts on their weddings). I loved to see those kits with different eyeshades, blushes and Lipsticks in one of the hidden trays in pans, from PUPA company. I also liked the lipsticks usually married ladies had the one with a peacock cap,may be from Revlon??? Do you remember. Well could only see those. 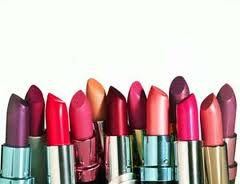 I was lucky to get a bunch of Lipstick crazy friends, non of us was into proper makeup but we all loved lipsticks and sucked them in our break time, as wearing a lipstick was prohibited in college. Those were the days when we could only afford Medora. It was 35 Rs. and I used to combine a single lipstick with my collection of lip pencils, which I bought for 10 rs. each and got a variety of shades. Few of the Lipsticks were Glamour#228(I bought one today 1-10-12), True Pink, fewbrowns like Terracotta and Mocha from Medora. There were other companies too which we could afford one was Genny's, Jacqueline. In Jacqueline (I am not sure about the name of the company but will confirm) I owned a shade which was a golden shimmer with purple hues, may be its name was Golden rose. I applied it often, as it was a barely-there type of shade. May be Mocha was also from this company. There was a bare shade named Oatmeal, it was off-white, I used to mix it with any of my lip pencils and created my own shades. It's been long that I used Medora, due to it's quality as after some times a white film appears on the inner corners of my lips and they dry my lips, but when we could only afford that we loved it I had few of the shades mostly we friends use to share with each other. One of our literally most SUCKED shade was Glamour#228(I bought one today 1-10-12), Ill get it again some day just to re-live those days. But I must say Medora and affordable companies like it were blessings for us in those days. I still adore them... as they gave me a chance to Love and own my love LIPSTICKS in affordable prices as a student. They still are affordable for students and many with ther wide range and shades. Passed college with all these affordable lot of Lipsticks and Lip pencils. In University the horizon of exposure got wast and many new brands came in to knowledge with new friends, mostly the ones who could afford them all. There were some lucky girls who had Mothers and sisters all guiding them through the makeup tactics and also shared there lot with them. Here is the moment when I miss having a sister. Golden Rose took the place of Medora in my collection in those days. Although it was abit expensive around Rs.200/-, but being a earning hand I could afford this luxury. Yes in those days I used to study and do a part time job at the same time. This was the time of experimenting new makeup and mostly the lipsticks, but I never gave up my trick of mixing Lipsticks and lips pencils to create my own shades. I bought few shades #103 is a Love from these days. Had few worst experience like buying Karaja, which was Rs. 500/- but learned alot from that experience. One thing which was a blessing that I was able to wear Lipstick, only Lipstick with kajal in my eyes to University, Rest I didn't need. On different accasions I had my simple Makeup style will share in some other post that will guide the University Students. After University I had taken Job full time, mostly teaching. So Lipstick became my daily essential product, By this time I had a great collection of Lipsticks and Lip liners to create shade with and wear on daily basis to work. Mostly I had soft, subtle and light shades, when I wanted any bright shades I reached out o My Mom's Lipsticks and did well. So now Lipstick was an essential member of my purse. 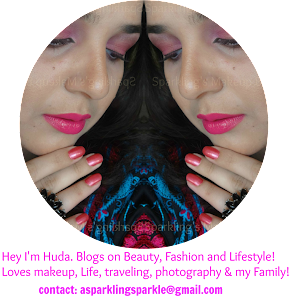 I had many shades from Medora, Sweet touch, Golden Rose, Etude and even one from Luscious my a favourite shade Haute Pink, for review click Here!!! etc. Because I believed in not wearing anything at all but never ever to skip the Lipstick. By only wearing a Lipstick I felt fresh and ready for work. It made my face look bright and complete. Never used foundation to work, believe it or not. Only liner or soft eye shadow and Lipsticks, not even a blush as I think I did not have one. Now I am married with one baby so the scenario is altogether changed. 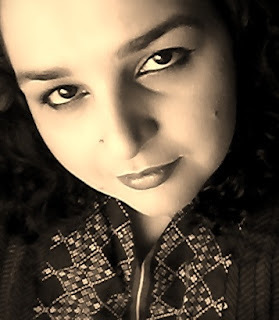 When I got married I was lucky to have a husband who had no issue with makeup, so I wore Lipstick daily with eye makeup, and sometimes going out I wore a light base and blush on my cheeks.I am considering myself lucky as in Pakistan few conservative husbands don't allow makeup to there wives. During and after Pregnancy I went through a very worst phase of my life due to reasons I don't want to discuss, in this time I even lost my love for Lipsticks. In taking care of my baby and new home I lost myself some where. Only had the lipsticks I bought on my wedding, wore them when required. Here I am thankful to Beauty Blogging and the bloggers who inspired me to enter this world of beauty, including Glamarama (the first ever beauty blog I read) and then our Lovely Sara Hassan one of my first muses to beauty blogging and also to many of my fellow beauty blogger friends like Mahrukh Hayyat(my lippie buddy), Sana Malik, Sahrish Adeel, Sana Sadiq and Farah Yasin to name a few who welcomed me, guided me, encouraged me and loved my work. I dedicate this Blog series to you all. 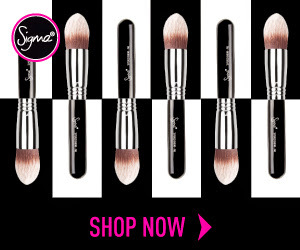 They have given me a second life, by filling my life with the love of makeup and beauty blogging. This has not only added up to my craze for makeup but has given it a positive direction too. Since last November, 2011, My life is changing positively, as it was going in dark depressions. Now I have makeup, I use it, Love it and learn every day something new with a sense of responsibility as a beauty blogger. Beauty blogging has provided a purpose to my passion for makeup. 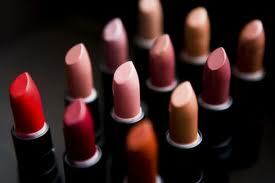 So when I thought of starting a Blog Series I wanted to share my love for Lipsticks with you all. I bought few new Lipsticks which I will share with you all soon. I own many brands and shades now from Avon to Colour Studio pro and Luscious my love brand. 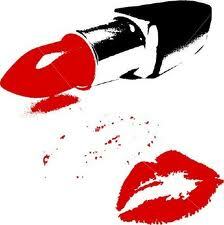 To view my already reviewed Lipsticks do click HERE!!! 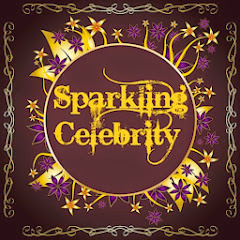 Hope You all have loved this Blog Series and will stay tuned for more. Really Loves You all for being with me, your love encourages me. Note: All the images in this post are taken from Google search result.